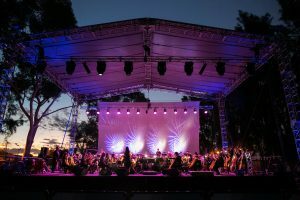 Join the WA Youth Orchestra and a host of special guests as they celebrate 10 years of Music by Moonlight. 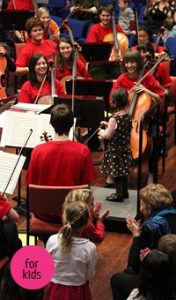 Babies Proms with the Western Australian Youth Orchestra SOLD OUT ! The Babies Proms offer children aged 2 – 8 the wonderful opportunity to experience live music in an up-close and personal setting. 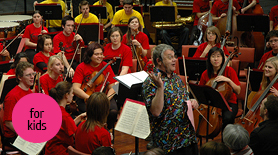 Babies Proms with the Western Australian Youth Orchestra – All Sunday Sessions Sold Out! 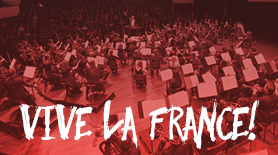 WAYO celebrates the best of all things French in a concert of gorgeous melodies, effortless artistry and enchanting orchestral favourites. 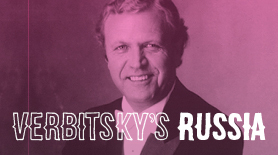 Inspirational Russian Maestro Vladimir Verbitsky returns to Perth. 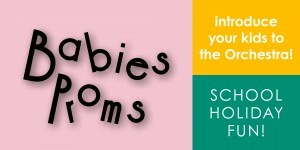 Babies Proms with the Philharmonic Orchestra – SOLD OUT! The Babies Proms offer children aged 2 – 8 the wonderful opportunity to experience live music in an up-close and personal setting. With a full 70-piece symphony orchestra, learn about the instruments, be invited to conduct the orchestra and join the musicians on stage for the finale!